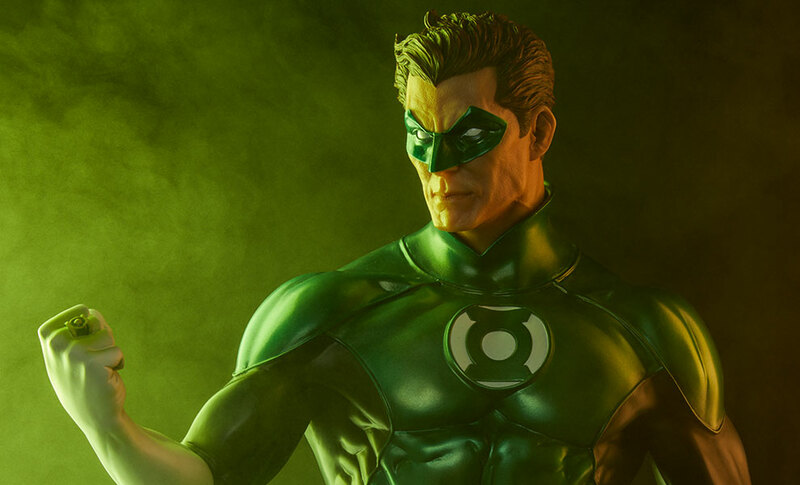 Limited only by his own willpower and imagination, Hal Jordan is Earth’s first – and possibly greatest – member of the intergalactic Green Lantern Corps! 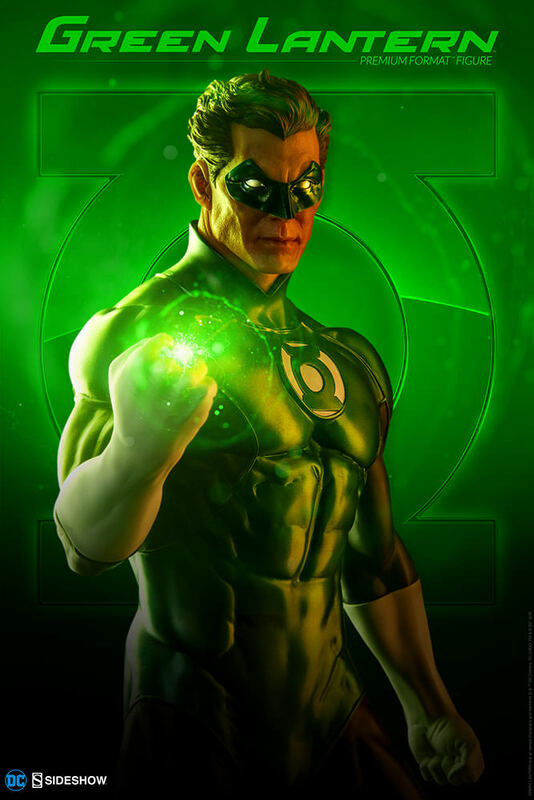 When dying alien Abin Sur crash-landed on Earth, his power ring sought a worthy successor and ultimately chose humble test pilot Hal Jordan for his ability to overcome great fear. 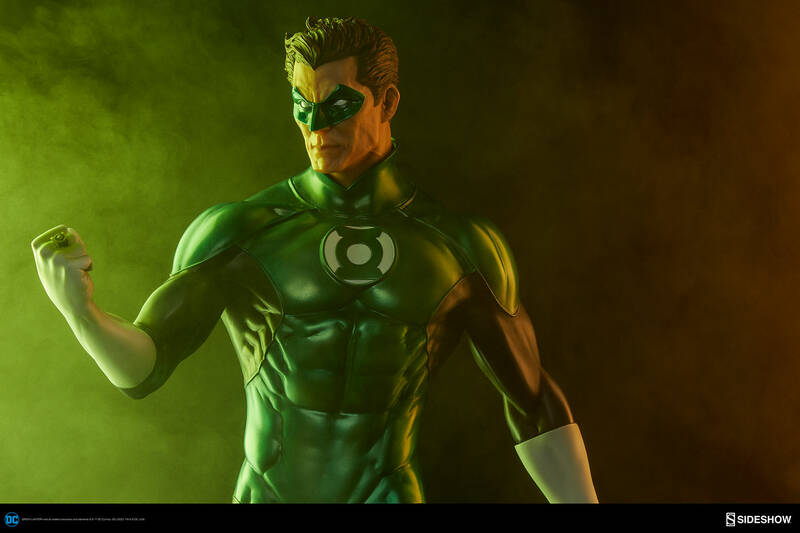 Proudly inheriting the mantle of Green Lantern, the muscular masked hero stands showcased in his emerald green and black costume bearing the iconic emblem. 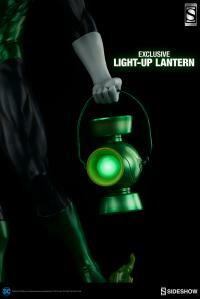 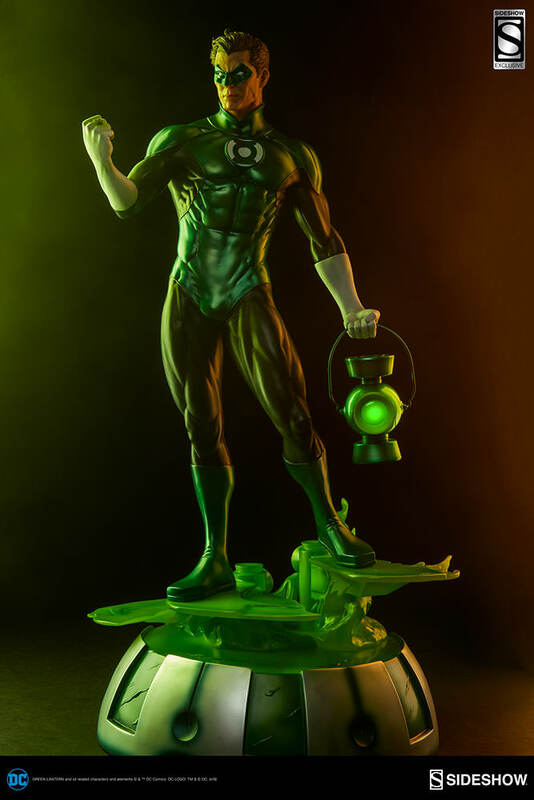 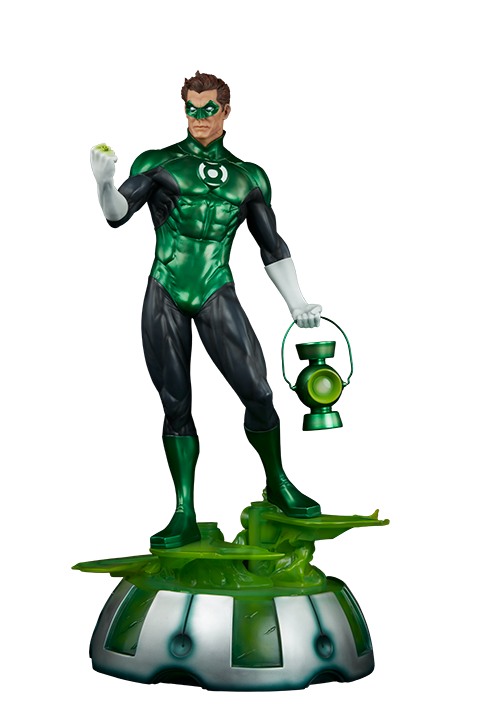 Ascending a solid acid-green construct stairway of his own making, Green Lantern is sworn to guard his Sector, and protect our planet – in brightest day and in the blackest night! 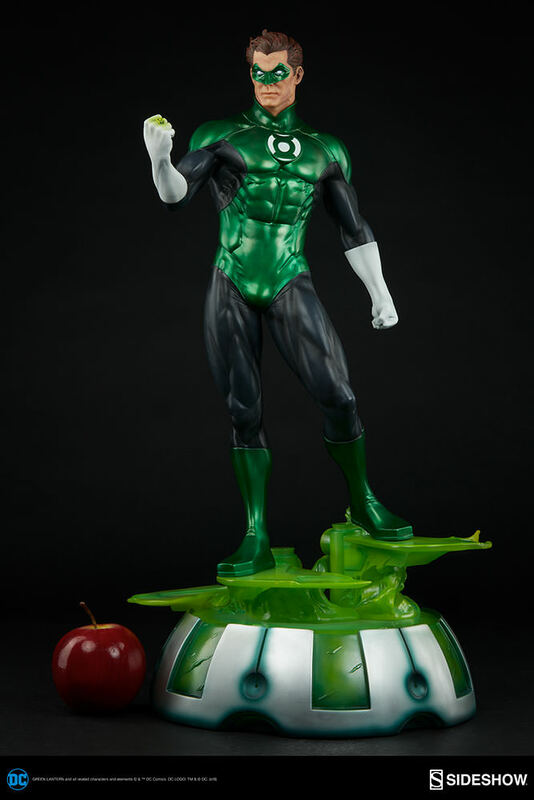 Just got one of EX EDITIONS from the low stock remaining . 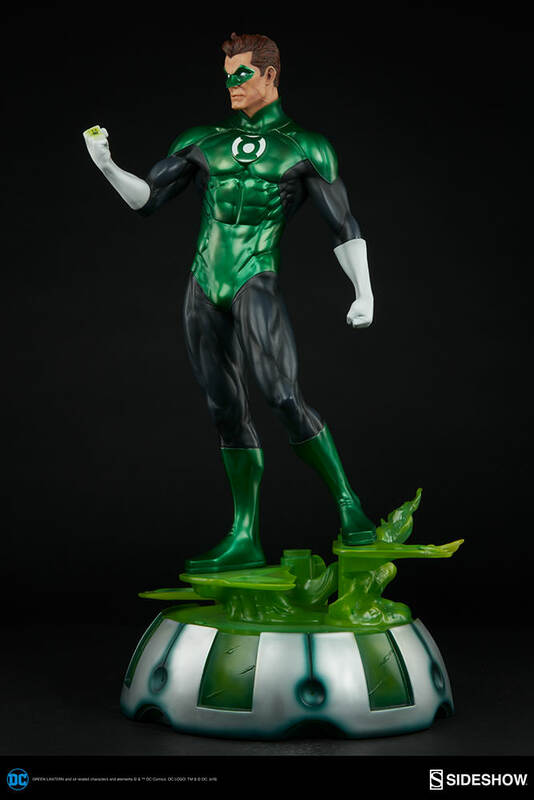 So glad I did just a perfect addition to my great collection. 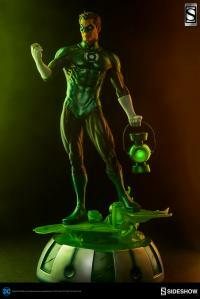 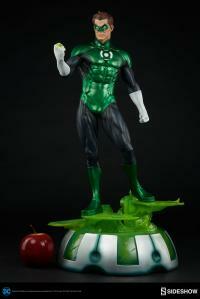 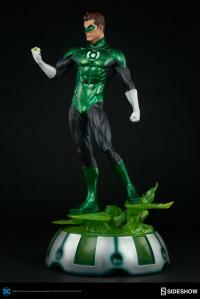 Green Lantern was my childhood favourite and l recently picked up the Sideshow PF of Hal Jordan. 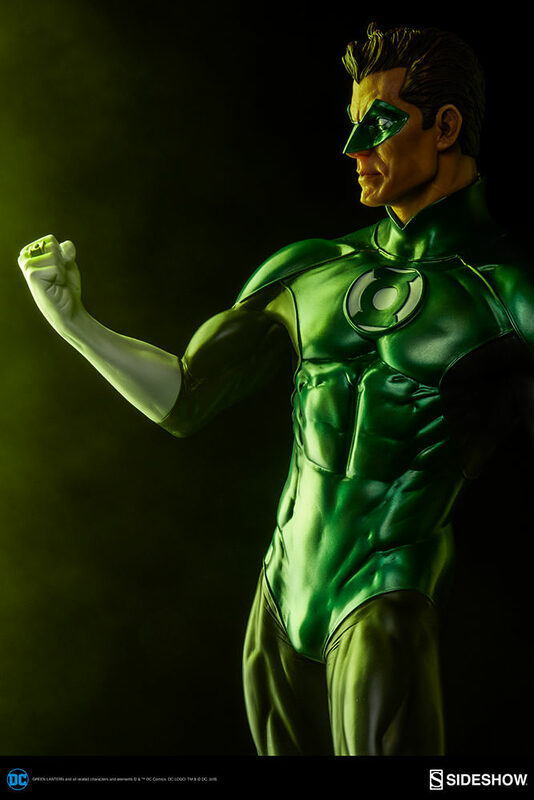 The entire piece is spot on, the pose, the sculpt, the paint is top notch whilst the portrait is totally out of this world. Keep up the great work Sideshow.